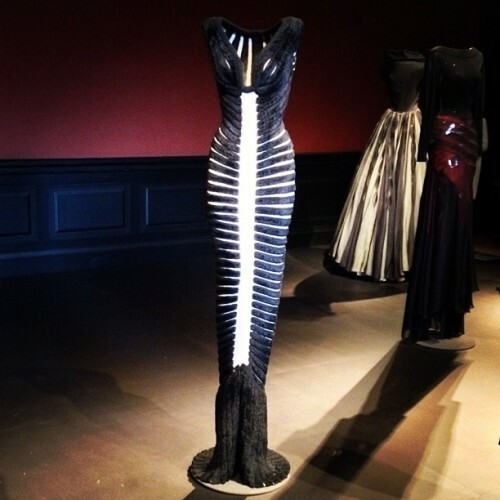 Exhibition of Couturier Azzedine Alaia’s work at the Galleria museum in Paris opened on September 28th 2013 and will be running until January 26th 2014. The fashion exposition started during the Paris Fashion Week. I went by this weekend, and loved it! 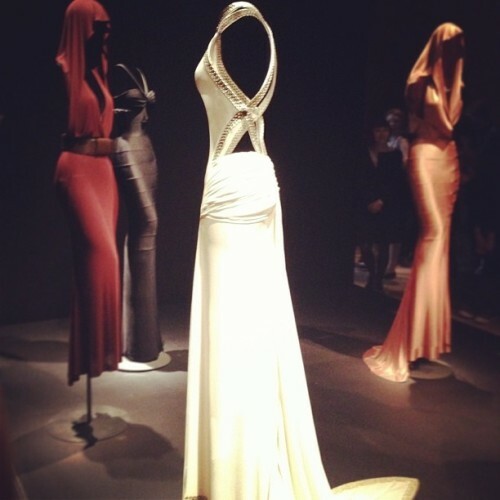 Here’s my review of the haute couture exposition. Parts of the show was split and continued with Modern Art Museum of the city of Paris (MAM) which is across the street and beside Palais de Tokyo (great place to end as you can enjoy a coffee break from the terrace – or head over to Monsieur Bleu for dinner). 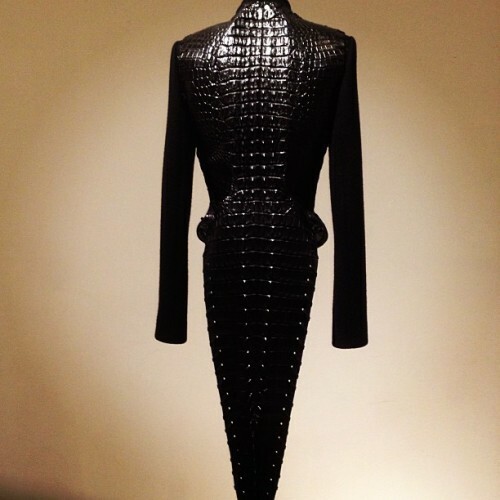 Tunisian born Azzedine Alaia is one of the few remaining great couturier that began in the 1950s. Back then he was supplementing his income with work at a little seeing shop in Paris. Then he garnered a list of influential female clients that quickly spread the news of his talents to their circle of friends and thus began his career draping the bodies of women who had little financial restrictions and as such gave him more artistic freedom to experiment creatively and hone his mastery. His signature styles obvious from this exposition is that akin to a ballerina outfit; bubble skirts that flare off at the hips and fit tight at the waist. All his designs accentuate the female form; waists, breasts and bottoms. Many pieces having been worn by well-known female performers such as Tina Turner and Rihanna. You’ll also see some of his work with leather, for which he is known as an artisan, like no other. His fur coats and jackets are rare and with impeccable attention to detail. The standout price in the exposition was a black Mongolian lambs fur coat that was belted with one of his full waist leather belts. The catalogue book for the exhibition will also make a great collection to your fashion coffee table books of the great Parisian high fashion designers. “Ala?a” by Olivier Saillard, ?ditions Paris Mus?es. Price : 34 ? Available at the entrance of in the bookshop of MAM. I was particularly impressed by these pieces in the photos, the crocodile long tail jacket, the slightly drapped yet form-fitting long dresses and his fuller type dresses that incorporate more heavier structured fabrics such a raffia messed with wire and beads. If you’re a lover of aesthetic, design, architecture, or fashion then you have to see the Alaia exposition at Musee Galleria , the fashion museum of Paris.